한국 조상들의 장인 정신을 엿볼수 있는 조선시대 나전칠기 전시회가 런던에서 개최 예정입니다. 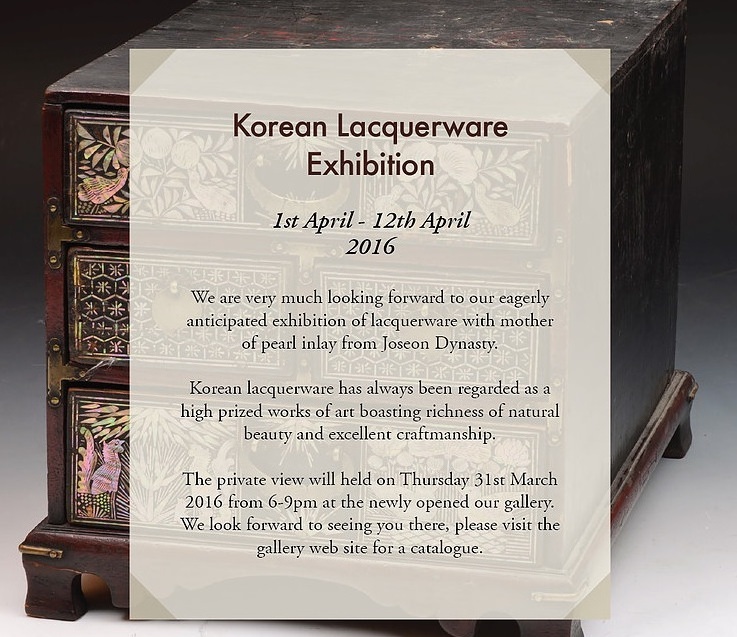 Han Collection organized ‘The Excellence in Craftsmanship : Korean Lacquerware Inlaid with Mother of Pearl’ for the 2016’s first special exhibition. This special event presents traditional and contemporary lacquer-ware decorated with mother of pearl inlay which boasting a massive fascination at its patterns, colour, and ornaments with brilliant technical artistry. We hope this exhibition serves as a meaningful opportunity where the beauty of mother of pearl inlaid works and their craftsmanship could be understood and appreciated.